Shortly after the first sod of the canal was cut by Josiah Wedgwood at Brownhills, John Brindley. a younger brother of James Brindley, the canal engineer, bought land on advantageous terms in the vicinity. In 1773 he built the first two pottery factories at Longport. 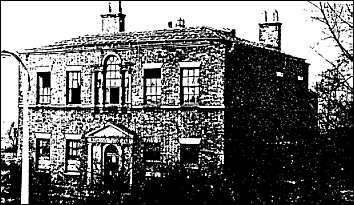 Shortly afterwards a third factory was built by Mr Edward Bourne, and then a fourth by Robert Williamson. John Brindley did not work the factories himself but leased them out with the land to tenants. He built a large Georgian house for himself on Newcastle Street opposite Longport Hall (see 1878 map) shown in the photograph below. 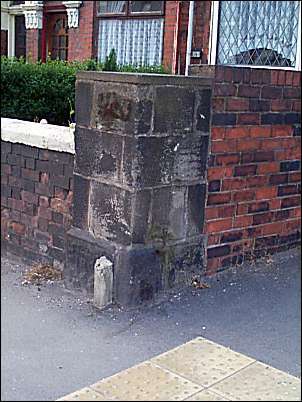 The house was demolished in the mid 1960s and all that remains is a gate pillar on the corner of Mott Place.